"Add in a little murder mystery, a heroine who is no shrinking violet, and an intelligent hero with experience in both the bedroom and the courtroom, and you have a rather fresh take on a typically predictable and straight-laced historical romance... and since this is the kick-off installment of a series, we may yet see more titillating escapades from what is shaping up to be an unusual crime-solving duo." "Lady Northenly." He rose when she entered the room and bowed. "Thank you for seeing me with no notice." Sarah nodded and tried to hide her worry. "Is there some legal problem, sir? I'd hoped the estate was settled after the reading of the will." Certainly her life had been. For better or worse, just like her marriage promised, she was now a dowager countess and dependent on what had been settled on her upon marriage. Truthfully, her father had negotiated a much more generous settlement on her than she would have expected of him, given her lowly status as the third daughter. Upon Marcus's death, she had received back almost everything her father had bestowed at their wedding. Of course, her father had always been a good negotiator. She was far from wealthy. But she quite possibly held more property -- at least property that wasn't debt-ridden or entailed -- than her brother-in-law and his family. That wasn't something those who cared about the Northenly title could afford to make public. She and her brother-in-law, and possibly his wife if he'd told her, were the only ones who knew. And this man. The lawyer who had carefully explained her position back during the reading of the will. She thought he had done his job well and was done with her. But now he was back and had asked for her specifically. Had Matthew summoned his lawyer to somehow change her mind about what was due her? Or perhaps Mr. Burke wanted her help for something else he would have proposed to her brother-in-law. If he thought her relationship to her brother-in-law Matthew, who was still new to estate management but not always willing to listen to reason, would help, then Mr. Burke was overestimating her abilities. But if Mr. Burke did, she couldn't help but be a little flattered that he thought she was more sensible and able to argue a point to Matthew than a lawyer would be. Sarah bit back a sigh. Why lie to herself? That wasn't why he was here. She knew why. She'd spent far too much time dithering and refusing to think already about the cold truth. It would be hard to leave what had been her home for ten years, but it was getting harder to be here. She had probably overstayed her welcome by several weeks at least. Aventon wasn't her home any more, was it? Matthew and his wife needed to make their mark without her. And that was why the family solicitor had been called from London. Matthew wanted her gone but didn't want to say it to her face. She was sure of it. Poor Mr. Burke. She didn't envy him the trip here. "I hope you will take some tea, Mr. Burke. You likely need something to warm you after such a journey." She would be gracious. It wasn't his fault he had unpleasant news. He'd arrived to speak to her, even though the weather was foul and had been for over a week. She needn't worry about how he would break the news, at least. He'd always treated her with respect and had explained her position at the reading of the will far more clearly than many would expect a lawyer to do. "That would be kind of you, Lady Northenly." For a moment he looked uneasy. "It might be better if I simply went ahead and told you without delay why I am here." "I asked Cooper to bring some when he announced you, so I fear I was merely being polite when I said I hoped you would. I promise you not to interrupt if you promise not to make me have tea all alone." "As you wish, Lady Northenly." He had a nice smile. It was a kind one considering he was such an austere man. But he stayed on his feet. And the smile cut short as soon as the door opened. Really, there was no reason for him to be uneasy or refuse a civilized bit of tea and a biscuit. She wasn't going to scream at him. She didn't make public spectacles, and he was a gentleman. That was why her father-in-law had hired him originally... he'd said William Burke was worth the extra money in fees because he was close enough to gentry and far more refined than most country lawyers could ever be. Apparently her own late husband had agreed, since he kept Mr. Burke on. "And here our tea is now." She thanked the footman and poured a cup for them each. "Very well, madam." Mr. Burke sat. "I don't mean to tease you, sir. Clearly you have business for me. Go ahead." She paused. She couldn't help herself when she asked, "Lemon? Sugar?" She had to stop delaying the inevitable. Before she was widowed she would have called herself decisive. Now she had become a mistress of avoidance. He shook his head, not impatiently, but clearly thinking of something else. "Yes. Well, perhaps it is not so much business-related as you might think." He picked up the teacup and then put it down. "But it may regard your future." Could it be even worse news than she expected? Sarah braced herself. "You may or may not know that my mother was daughter to a Viscount. I state that first, even though I have no title and no particular standing among the nobility, because it may mean something to you." Sarah blinked. Why would it mean anything to her? She didn't know anything about his mother. He hadn't even given her maiden name. "My father, however, is a merchant. He's wealthy --"
"Of course." She stopped when he raised his eyebrows. Yes, that had been rude of her, especially since she had promised to let him get on with it. But now she had to explain. "Otherwise your mother would never have been allowed to marry him. Forgive my interruption." He gave what could be a snort in anyone less restrained. "Yes. Of course, although I'm not so certain of the allowed part. At any rate, not only is he wealthy, but he has aspirations for his only son. That's why I was permitted to become a solicitor rather than follow in his footsteps." And what was one to say to that? She nodded instead. "I have developed a considerable reputation in my field, and I have some money of my own, beyond anything I may inherit." He cleared his throat. "It can't escape you, madam, that you have no particular home to go to at the moment. I'm sure you could make one alone if you wish, but I'd like to offer you marriage and my own home. I believe you'd be comfortable there, and I would do my best to make you happy. No, please don't say anything. Think about it for a few moments first." Don't say anything? She couldn't say a thing. "Ah!" That little gasp was all she could manage. Sarah shut her eyes as the silence stretched out. She'd loved the handsome young Earl who had courted her a decade ago. At least she'd loved the idea of someone handsome and titled courting her. She would be a countess. Not even that had mattered as much as being married to him. Back then, when she had recently turned sixteen, she'd been wild to marry. She'd feared being left on the shelf, a spinster after her first Season. What did she know about love or marriage then? She didn't know that she'd been sold to someone who was almost penniless because she was the youngest daughter of a Viscount who could afford a bride price. At least she hadn't known then. Her husband had made it clear enough later. "A lawyer." Oh dear. She'd said it aloud. "If you wish to call me that I won't quibble, although the preferred term now is solicitor. 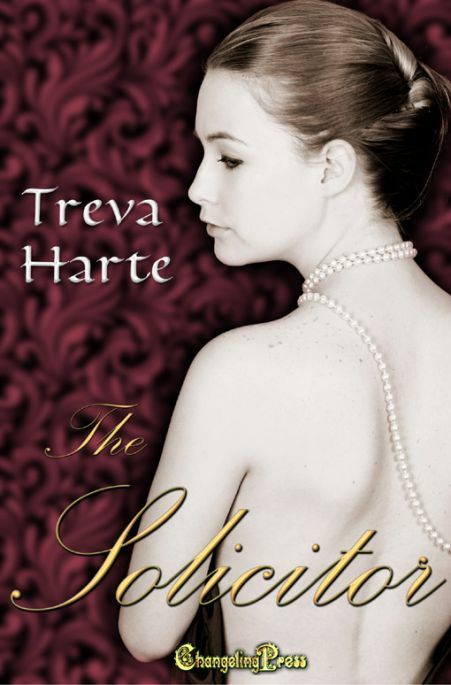 And, my lady, solicitor is what defines me among my peers -- if you ever care to meet them." Meet them? She had never met with a group of lawyers... solicitors... in her life and had never expected to. At least not socially. She prayed she'd never have to do so for legal reasons. But he must have meant socially. When they married. She might remain Lady Sarah after a second marriage but she would also be Mr. Burke's wife and expected to entertain his family and associates. "You appear to be pressing your point." Sarah wasn't sure if she disliked it or was secretly a little flattered that he would. Was he confident, or impudent? Lud, she had the feeling once she did decide what he was really like, it would settle her own surprising confusion about this unexpected offer. After all, she hadn't immediately said no.